Work email collaboration kind of fits into the above group. Because, in 2018, they all need to die. Specifically, email collaboration needs to die immediately. Find a real email collaboration replacement for your business today, and then do it. It needs to be dragged out back, and, well, “handled” as they say in the world of The Godfather. Look, using email has been around for about 50 years – it will be 46 years old in October, in fact. It is a great tool for communication. And for business collaboration, email has been a fundamental platform that employees, customers, clients and partners have relied on using. But, like fanny packs, there is a catch. I discovered the many faults of email collaboration a long time ago. And, if I would still be using email for my business collaboration needs today, I would be drowning right now. Switching to a trusted business data sharing solution like PerfectShare takes some thought and some others costs. How about we remove that for you? You can try PerfectShare for 14 days for absolutely nothing – yep, its free! Click on the button below to get started! In a bit, I’ll tell you about how bad things actually were. And, if you stick around until the end of this article, I’ll show you exactly how I managed to get rid of email for collaboration – and how you can too, for free! Email collaboration is dying – it just doesn’t know it yet. Doing a Inbox Zero sessions doesn’t mean effective teamwork. Using a Getting Things Done app doesn’t mean effective teamwork either. And, if you are a business owner relying on email collaboration, your team is weaker than it should be. Email collaboration is dying – so let it. Look, we’ve all experienced some issues with email in business. Most are fine. We all experience spam emails, as well as phishing attempts. But why should normal business mean dealing with the following? Before shifting gears, I was feeling the grind that email collaboration had me in – and why I started PerfectShare. Likely, you know that grind I’m talking about. The year was 2005, and Outlook was my friend. I was doing some heavy work for a supplier to a major auto manufacturer in the United States. I was doing data file translations in the auto industry. My customer pool involved plastic mold builders, engine manufacturers and more. Basically, all contracting aspects of the automotive industry had some need of a supplier or contractor – and they all needed to have data files created and translated. Long story short, something went wrong. That something wasn’t an instant black-and-white moment. 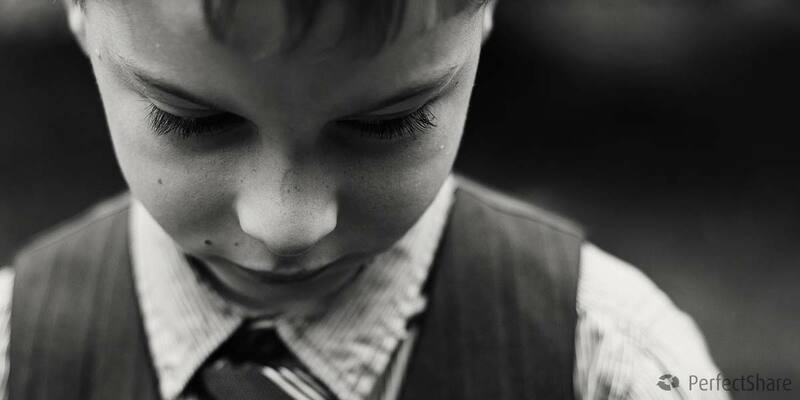 It had been occurring, without my noticing, and growing into a problem that finally hit me, my customer, and the worse – my reputation. This sequence of unfortunate business events happened. It wasn’t their fault, it wasn’t the Internets fault, it wasn’t my computers fault – it was my fault. I hadn’t thought to take the five minutes to evaluate what actually was happening with my business via email. A file gets lost in translation. And then an email gets misplaced or wrongly sent. Next thing you know, a whole project, and a whole vehicle, could be impacted. It wasn’t good at the time. How much did email collaboration cost me? I audited the time I spent in my inbox. Then, I added up the time, not doing actual business, but doing the administrative parts of it. I added up the corralling of all of my emails for each project, tracking down the CC and BCC and forwards that occurred, I added up the time spent reviewing projects, conversations and customers and so on. How much time was it costing me? I estimated about 500 hours a year. What is that to you? What kind of value does 500 hours have in your business? $20,000? $50,000? $100,000? $1,000,000 or more? The point was, I just couldn’t escape these facts in front of me. I not only was losing time, but I was losing a lot of money! In all of the mess that I experienced that decade ago, there was one item that really would’ve allowed me to see the problem faster – but email didn’t have that feature. And, by having this one thing at my fingertips, it would make a lot of those aches and pains I was experiencing go away. Activity tracking is such a simple thing. You record actions, from users, that they perform on data and other users on an account. It sounds simple – you track things. But in email collaboration methods, you rarely can guarantee this data, with 100% confidence and clarity. I don’t know if the person received the files, if they viewed them even. I also don’t know if they were accidentally sent to someone else who now has them. But with some type of activity tracking, I can actually see that John Smith opened file123.jpg on May 8th, 2017 at noon. I can see that Sally Smith logged into her account, and uploaded seven files concerning the ABC Widget Co. account. And, I can see that someone has never viewed data that they need to view so that my work can continue. 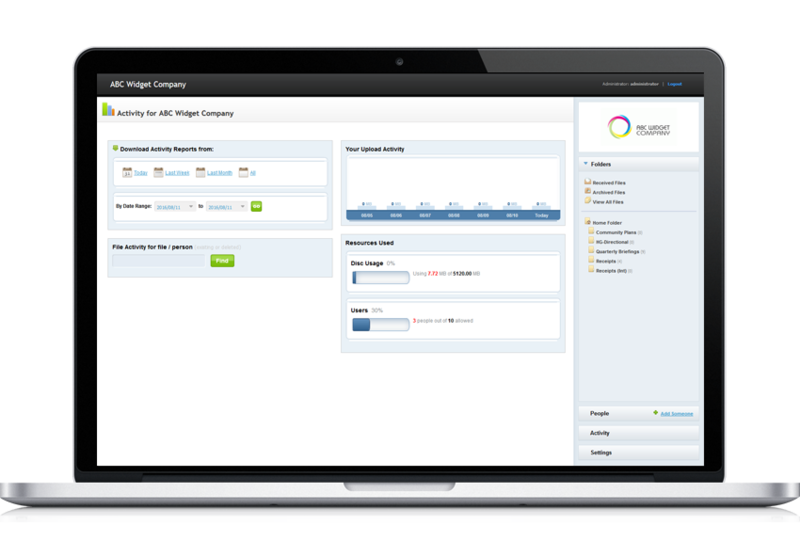 Activity tracking and reporting, when handled together, allows for the largest weakness of email collaboration to become a forgotten thought. This is one reason why PerfectShare uses activity tracking as a foundational element. While file sharing and data storage is the main action in PerfectShare, without activity tracking and reporting, it all goes to poop. I needed to be able to see activity from people, from shares, from uploads and downloads and views, from logins, from account creation, from folder creation and editing – EVERYTHING. What if I told you that your business could never scale? That is a crappy thought, right? What if you could NEVER hire new employees, you could never add or remove team members, you could never alter your teams? What would you do? Adding and editing team members truly stinks when using email to collaborate. Your ability to do so is fairly limited. Not only do you add a CC to your emails that you send, but then you have to track down the ‘old’ emails. You have the track down and resend the branches of every conversation. You have to track down and send all of the files in all of those emails. Why would you use email for this kind of process? Your time starts to go up and then double, simply from removing a person from a project that you are working on. When I built PerfectShare, I didn’t want to deal with this at all – ever again actually. So, in PerfectShare, this kind of problem goes right out the window (just like reporting and activity tracking issues). 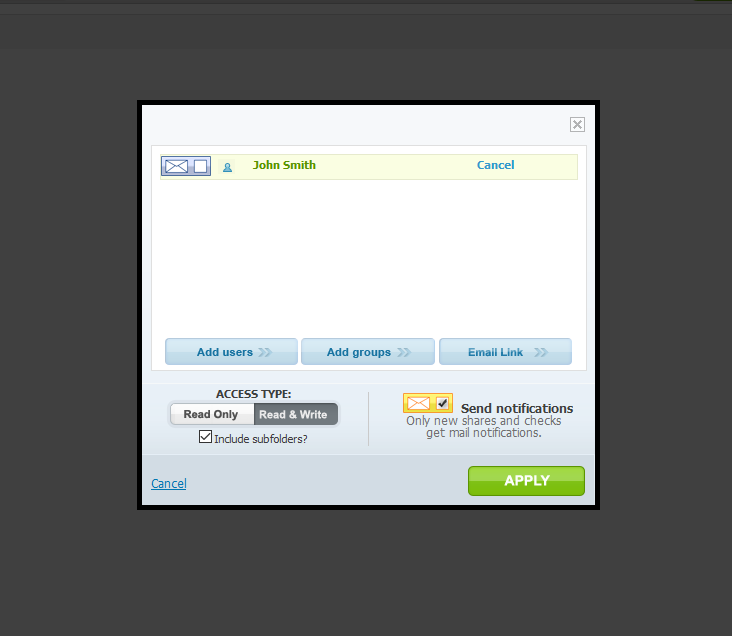 First, you can add and remove people from file shares and folder sharing with a simple click. This means that you click on the file or folder you want to share, click on their name and save it. Done. Next, you have access control on all folders as well. You can control who participates, you control how long they participate, and you even control how they participate; sometimes a project’s folder should limited those users to only viewing and downloading data, other times, they should be able to do everything. Speaking of access control, you also should be able to stop, FULLY, all access to files and folders as necessary. Look, business needs change. As well, employment, team makeups and more can change at any time. Wouldn’t you want to control access to sensitive data if you could? Also, when you share a file or share a directory, you can automatically notify the user. While we move away from email for business practices, there are some things that we will still do – like send notifications. Finally, you can control your clients’ data as it comes in. You can isolate new data into your Received Files, or you can grant access to a specific folder and let them upload data directly into them. All of the above solved every issue I had with access control in email collaboration. I was able to actually isolate people, isolate their data, and save myself a ton of headaches, time and money. When is email ‘good’ for business? Email was built as a method to communicate. Literally, it was made to send a long message to another individual. But a conversation is not a project. An email is not a container for sending nor receiving business data. And using email for business is only good for handling things that you can over a phone, but just don’t have the time. Email collaboration in business? That is definitely not for me, and it shouldn’t be for your company either. Instead, why not give PerfectShare a glance – on the house. You can try PerfectShare for free for 14 days, no costs, no obligation. 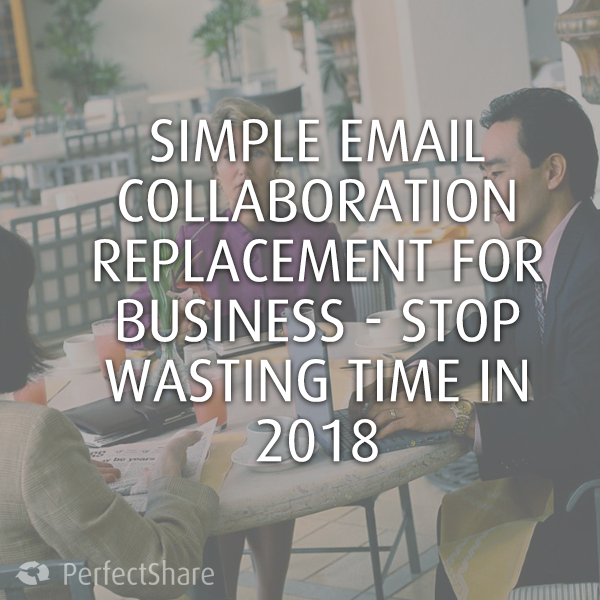 If you aren’t finding PerfectShare a terrific alternative to email collaboration, then just cancel. Getting started takes less than five minutes, and, the worst case scenario is that it could save you 500 hours a year or more! Email collaboration in business needs replaced, and it needs replaced as fast as possible. Find out how much time and money I lost, and take advantage of the EXACT same email collaboration replacement solution I used.